When people talk about the health benefits of different foods, seafood normally gets grouped together as a healthy addition to your diet. Though many seafoods are good for you, the truth is that fish are just as diverse as meats, if not more so, meaning that Tilapia isn’t the same as cod when it comes to your health. You may have a personal preference when it comes to taste and texture or may buy whatever you favorite recipe recommends, but if you have a balanced diet in mind, you should know a little bit more about your seafood of choice. Here, we look into four of America’s favorite seafoods and dig into the pros and cons of each, leading you to a more informed choice the next time you’re at the supermarket. In many households, the word salmon has become synonymous with the term “seafood.” Both wild and farmed salmon have major health benefits so this isn’t much of a surprise. 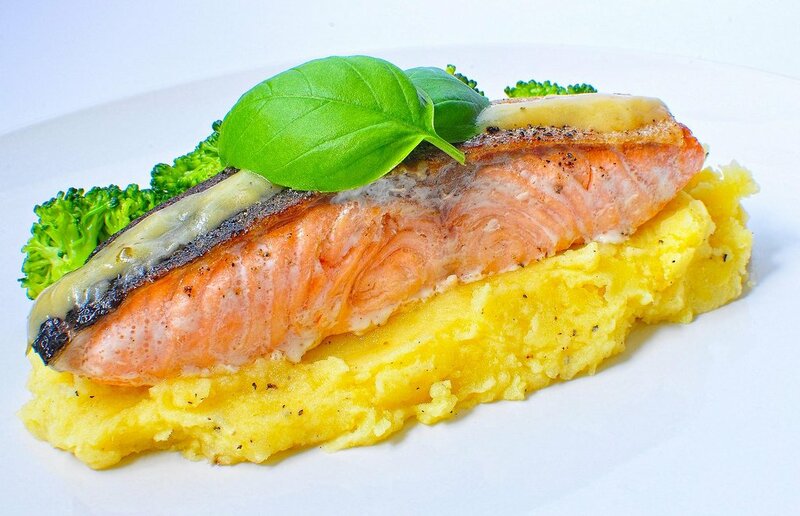 Per 100g serving, salmon contains 146 calories, 21.6g of protein, a generous amount of Omega 3s and is low in saturated fats. The downside is that it also contains 45mg of cholesterol, which amounts to about 15% of your daily recommended intake. As long as you aren’t loading up on cholesterol elsewhere in your diet, salmon is a delicious addition to a healthy lifestyle. Tuna, although popular, is often portrayed as a less-than-healthy seafood option due to its high mercury content. 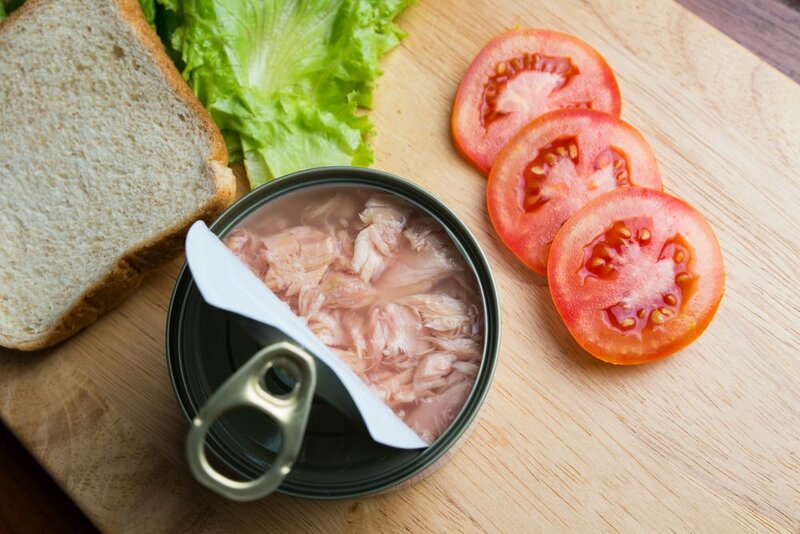 Although you’d have to eat a whole lot of tuna almost to be exposed to harmful mercury levels, it’s recommended that canned tuna isn’t consumed children or those who are pregnant. For the rest of us, canned tuna actually has a lot to offer. While high in sodium, canned tuna is an oily fish. This means that it has favourable amounts of Omega-3s and for many of us a can of tuna can give us 50-60% of our daily recommended protein! So long as you don’t have a sodium-heavy diet, enjoying a tuna melt or a tuna salad now and again is perfectly healthy for you. 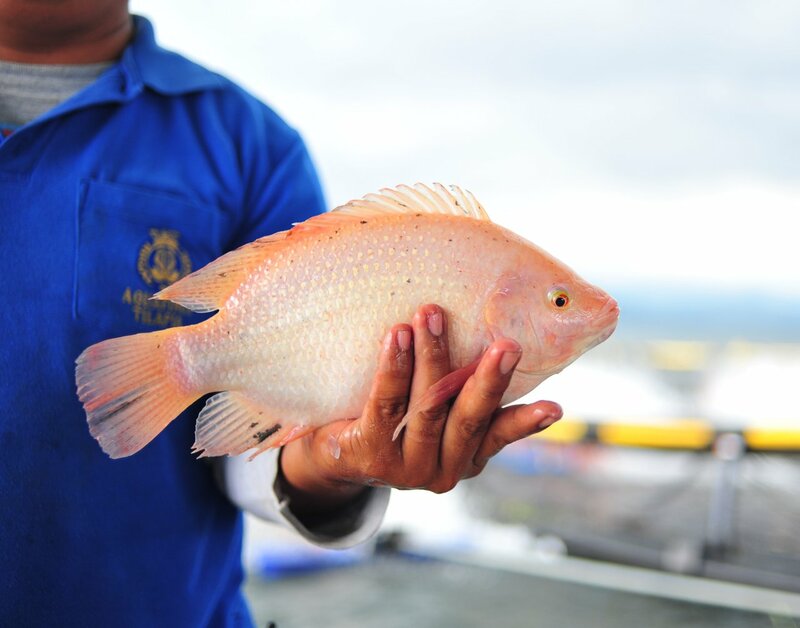 Tilapia, just like tuna, is no stranger to negative media attention. Though not as high in Omega-3s as some other popular seafood choices, this fish’s other benefits are normally overlooked. Tilapia is highly recommended by nutritional experts, especially when farmed in a healthy way, like at Regal Springs farms. It has 23g of protein per 110g serving and approximately 450mg of potassium. In addition to that, Tilapia is also rich in calcium and potassium, meaning that it would make for one the the best options if you have growing children! Furthermore, it contains zero carbs and no mercury making it a top choice as it’s loaded with essential nutrients and is versatile to cook with as well. The popularity of this seafood can be credited to its great taste and versatility. As Forrest Gump’s best friend Bubba once said, “shrimp is the fruit of the sea. You can barbecue it, boil it, broil it, bake it, sauté it.” What he didn’t mention is that shrimp is actually quite healthy for you. 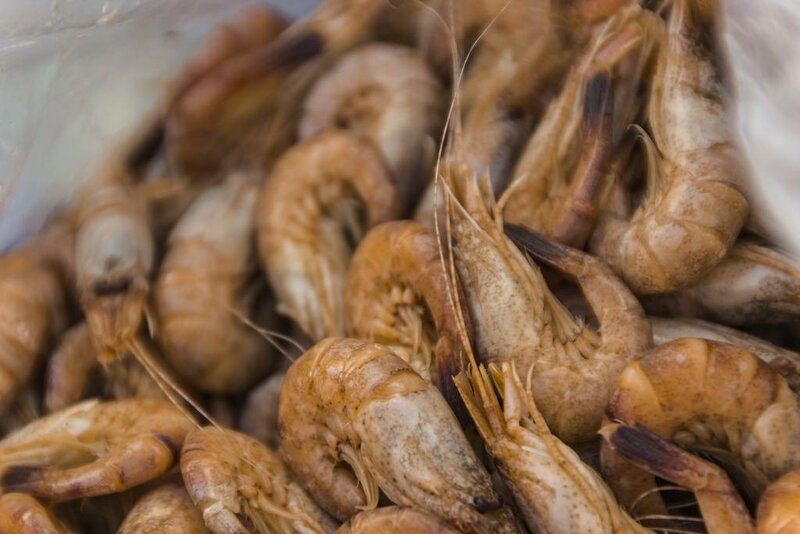 High in protein and low in trans fat, there’s a reason shrimp is a part of a healthy diet. The only downside is that one three-ounce serving has about 129mg of cholesterol—almost 50% of your daily intake. This is concerning for those who suffer from high cholesterol already. Shrimp is a great way to spruce up pastas, soups and a number of other dishes while adding a great nutritional kick, but be sure to use it in moderation. These four seafoods are commonly found in American households and on our dinner plates. Though common (and tasty! ), just like any food group, there are things to be cautious of—namely, high sodium and cholesterol. Still, when all’s said and done, these popular seafoods are part of a healthy lifestyle for a reason.